Here is a double post for you all today. 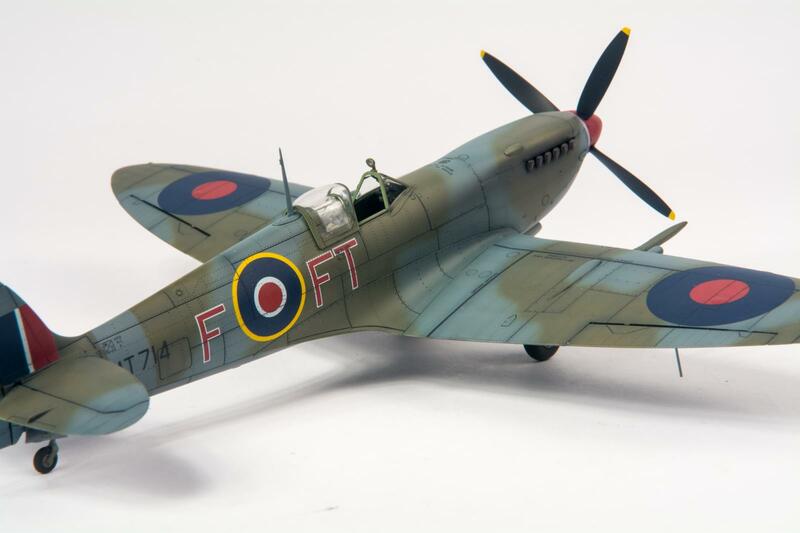 First the Eduard Spitfire VIII, this is simply a superb kit, an utter joy to build and one of my favourite kits so far this year. 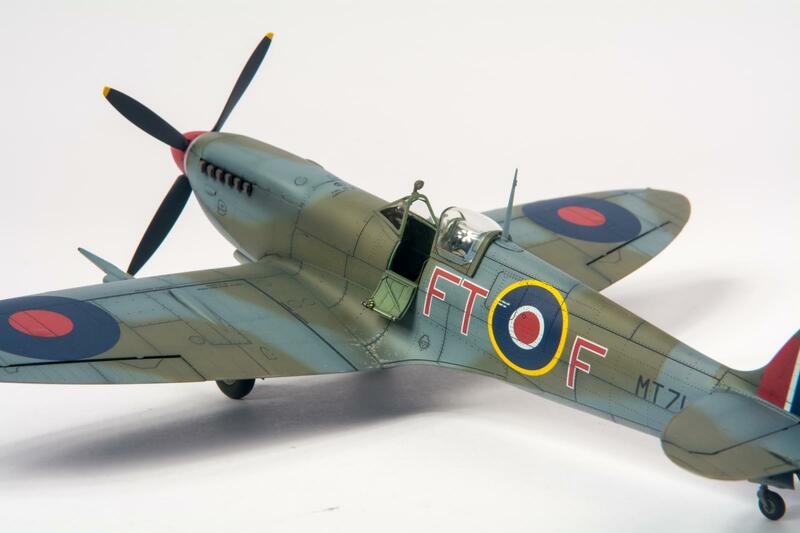 The same cant be said about the second build, the Trumpeter Defiant, also in 1:48. This looks great in the box, surface detail is superb but its full of errors. This has had major surgery to get it to look as it is. I usually like Trumpeter kits but this is not one of their best. 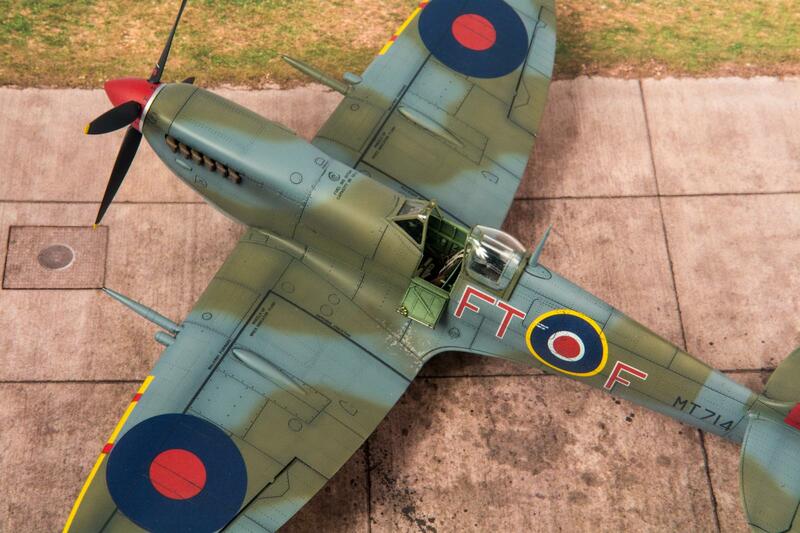 Its blown away by the Airfix version. Even the instructions are wrong, they call for medium sea grey underside and ‘wood brown’ for the dark earth in the 1940 camo! Now its not hard to find the correct colours in the Gunze Sangyo (which they quote) range and today 30 seconds searching on the internet will give you all the correct info you need. Decals are from Xtradecal and are for an Air Sea Rescue aircraft – the kit decals are unusable, the colours are far too bright and the code letters for the day fighter are white instead of med. sea grey. Great looking kits Alan. Thanks for the heads up on the Defiant. I have a Mk.VIII in the stash to be built as an American hack. 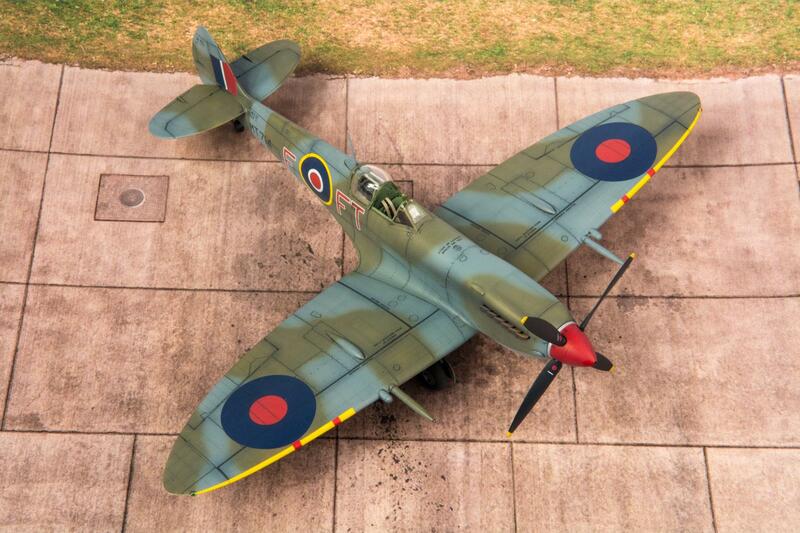 Love the Defiant in that late war camo,nice work on both aircraft. 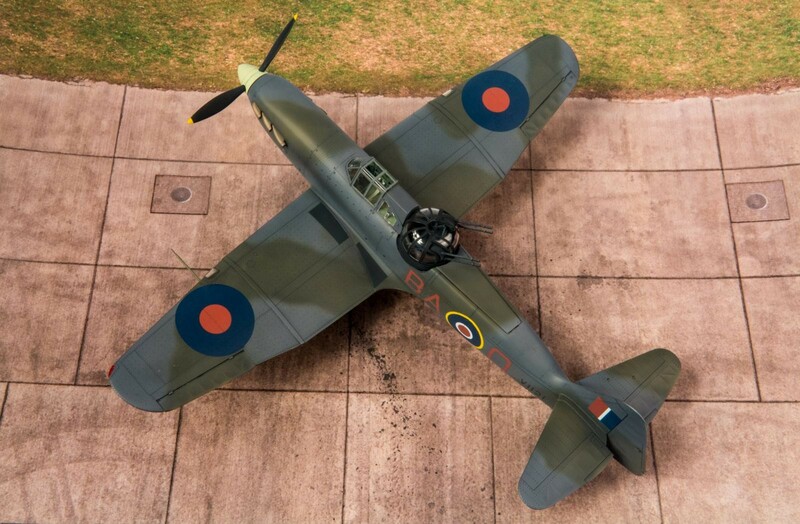 Allen, wonderful work on both of these, I really like the spitfire (no offense toward the Defiant, as it too looks great !). I have an Eduard kit and was wondering if you used the kit (2 piece) cowl or a replacement ?, I ask because yours looks great ! Hi Terry, thanks for the comments, this is the kit cowling. 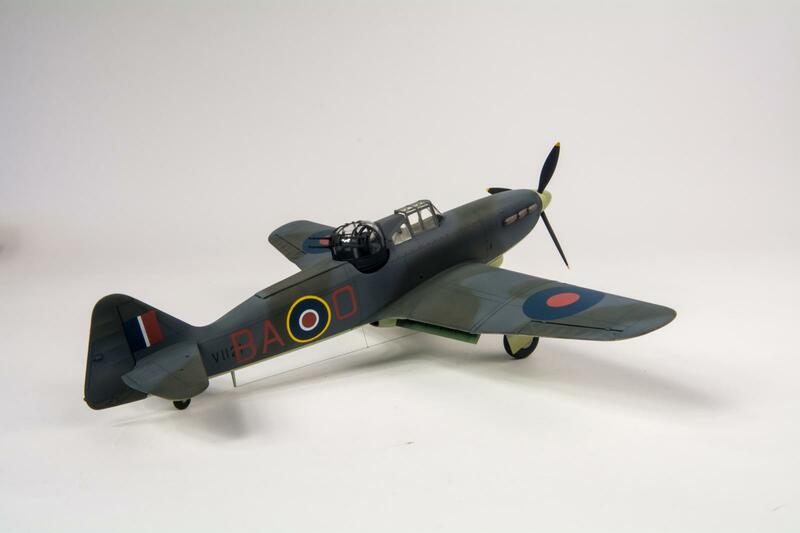 The kit cowling is only a problem if the modeler has no “some modeling skill needed.” A bit of extra care in assembly is all it takes. Done it six times now. Very nice work as usual Alan. Great work, Alan. Nice work on both. That rear fuselage is truly awful on the Defiant kit. 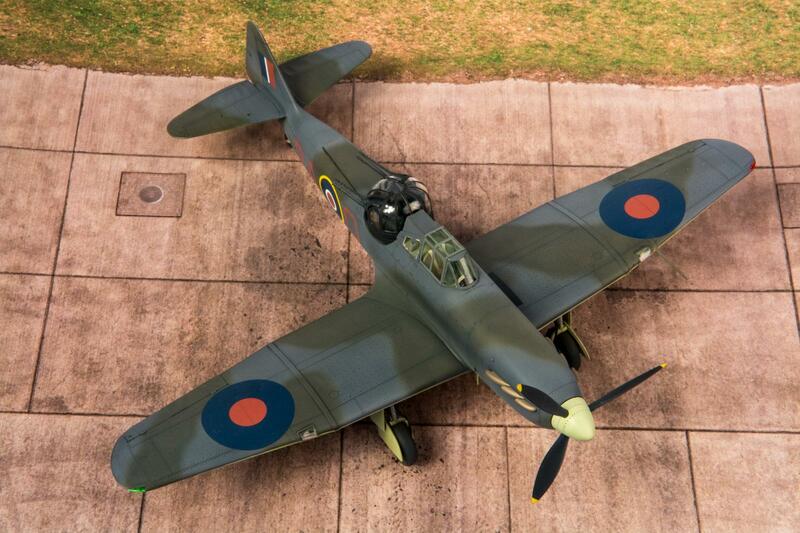 Glad I have 2 Airfix kits. Thanks John, a bit of re-shaping was required! This build will be featured in Model Airplane International where I’ll post some horror pictures of the surgery! I’ll look forward to the photos, Dr. Damn shame. Hoping for an aftermarket target tow buncha bits. 8th AF had some. 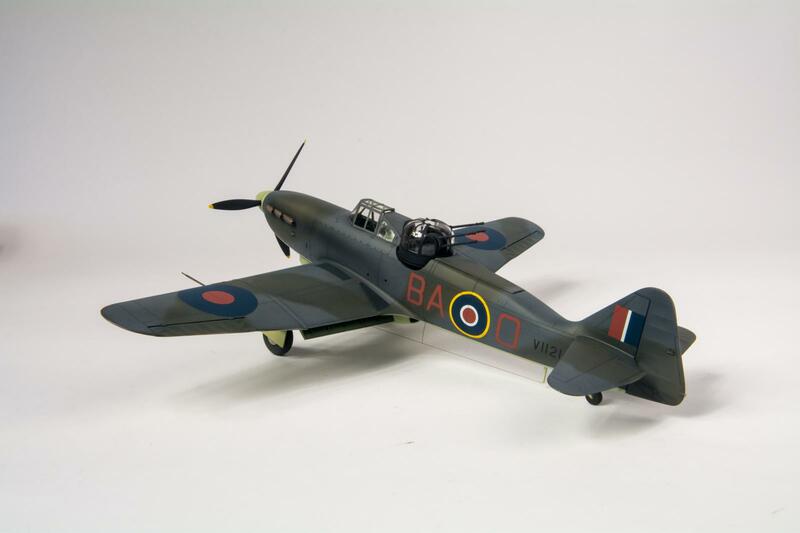 Treat yourself, get an Airfix. Of all your fine posts, Alan, this duo is my favorite. Really enjoyable. Inspiring work! Looks really really great. I bought a Eduard Spitefire kit (1/72 though) this summer. Now I can’t wait to start it.